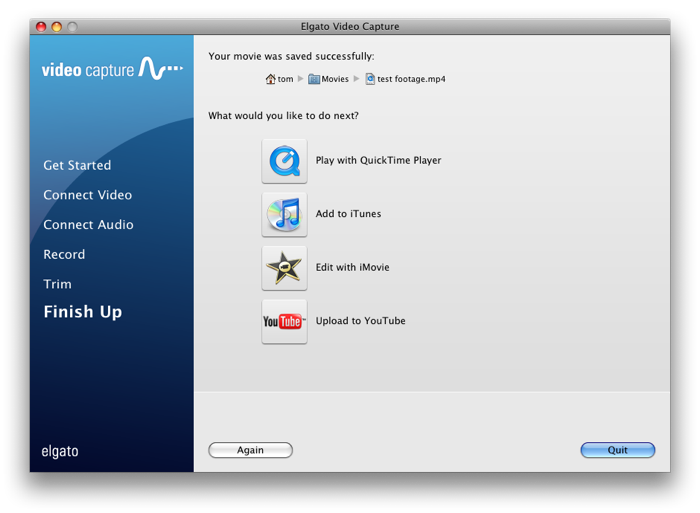 Home › Video › Video Capture › Can Elgato Video Capture send video to iMovie? Once you have finished recording with the Video Capture, and have completed any trimming of the video, you can choose to send your video to iMovie. Click on the "Edit with iMovie" button and the iMovie application will launch and your video will automatically be imported into iMovie's Event Library.